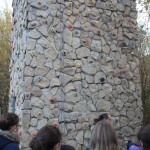 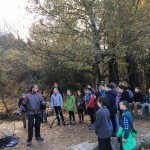 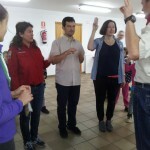 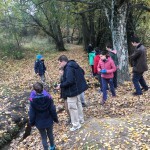 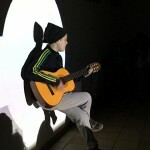 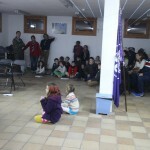 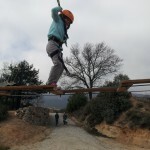 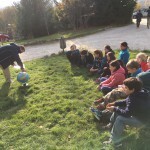 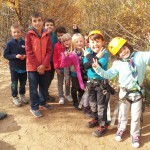 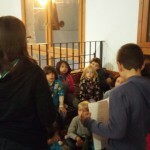 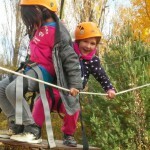 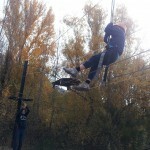 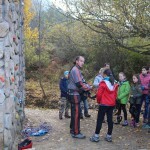 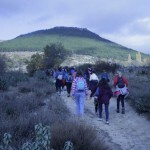 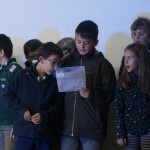 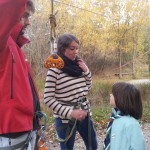 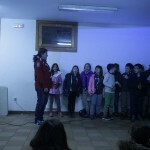 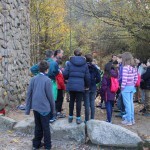 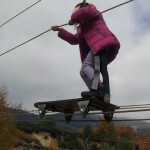 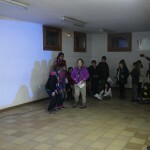 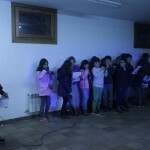 On November 18th, 19th and 20th 1st Madrid celebrated its first combined winter camp in which all sections took part in the hostel of Bustarviejo. 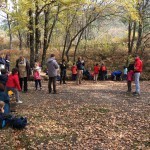 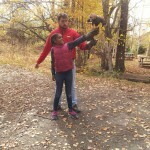 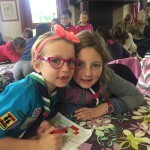 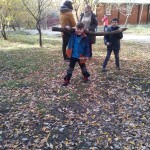 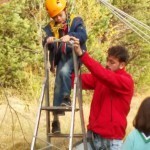 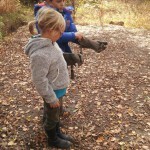 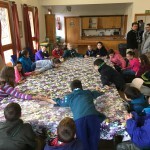 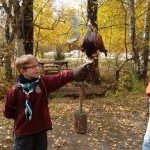 The Beavers camp theme this November was Membership. 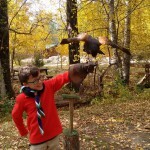 With so many new Beavers in the lodge, it felt right to revisit the Membership badge and focus on that. 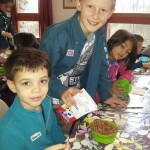 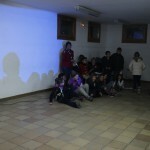 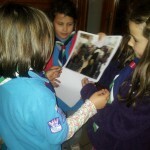 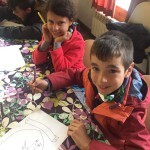 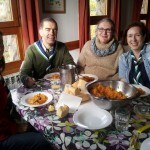 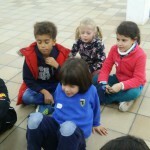 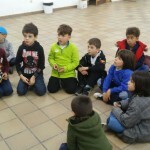 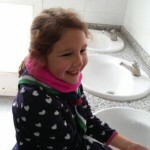 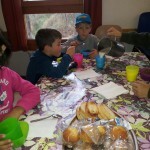 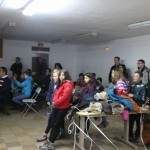 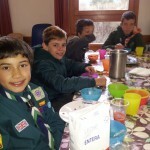 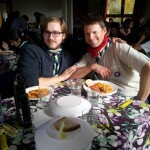 The camp began with an evening meal as the Beavers arrived from all over Madrid, many straight from school. 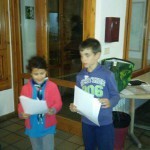 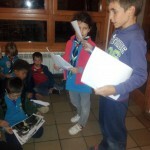 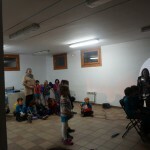 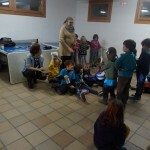 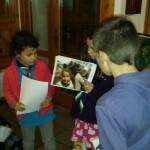 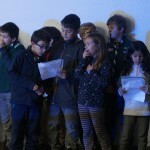 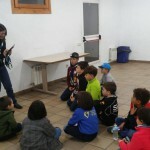 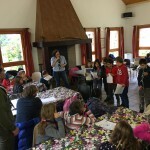 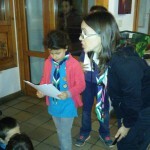 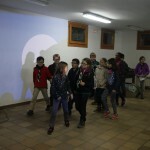 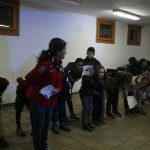 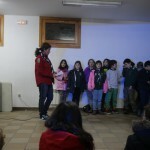 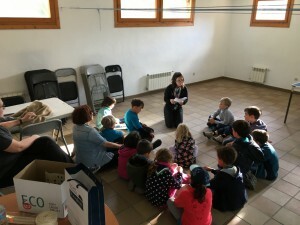 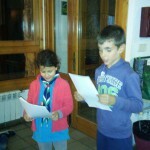 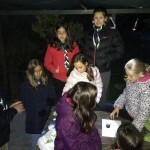 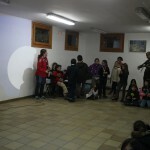 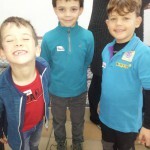 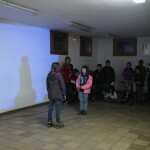 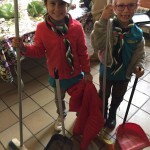 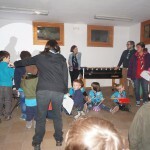 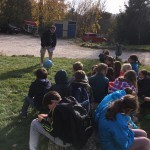 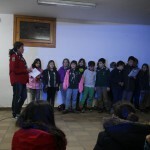 After dinner the Beavers had a short opening ceremony in which they chose their buddies for the whole weekend and learnt a few basic rules about the hostal. 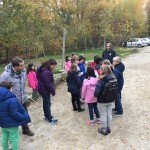 Our Beaver Leader asked them all to shut their eyes and count to 60 in their heads to see if they could guess how long one minute is. 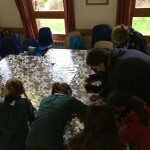 Most of them counted far too quickly! 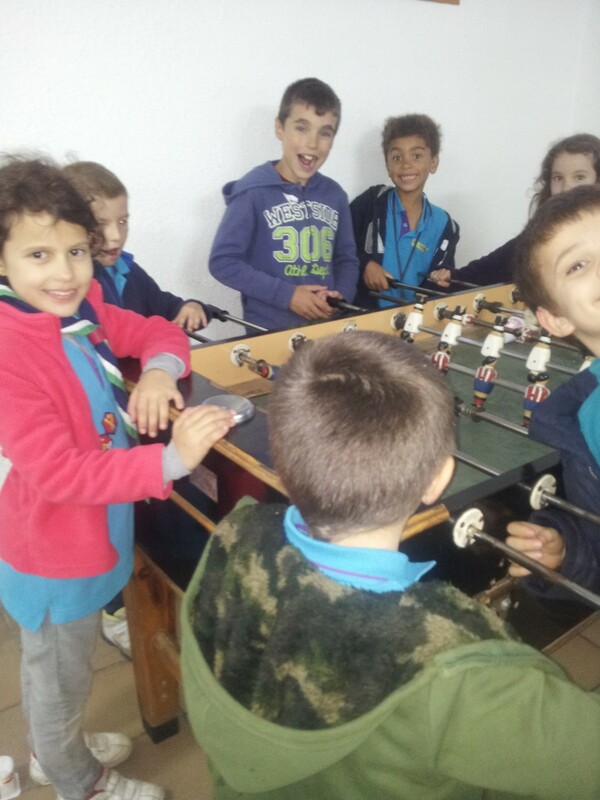 Nevertheless, this game helped them calm down after the hustle and bustle of arriving and having the evening meal. 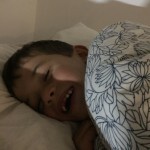 Next it was time to get ready for bed. 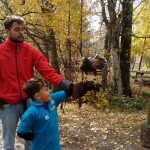 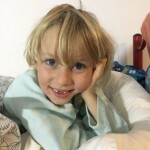 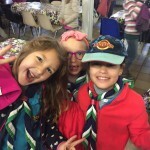 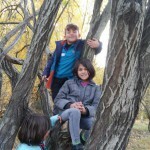 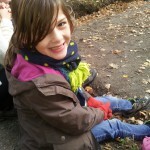 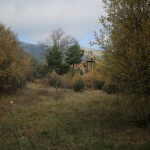 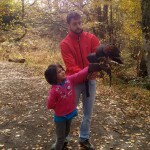 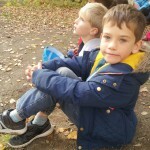 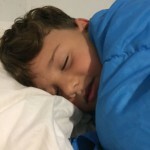 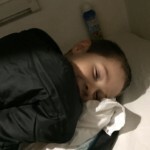 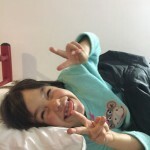 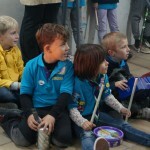 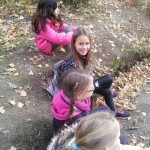 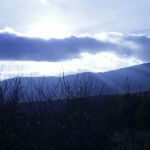 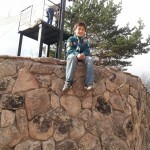 The Beavers soon fell asleep, looking forward to the following day full of fun activities. 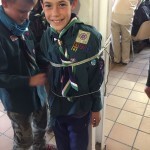 Breakfast was a fun affair with the Scouts and Explorers helping to serve our table. 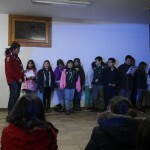 After breakfast our GSL led us in an opening ceremony with the rest of the troop. 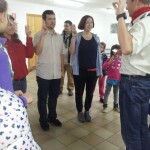 Three new leaders were sworn in. 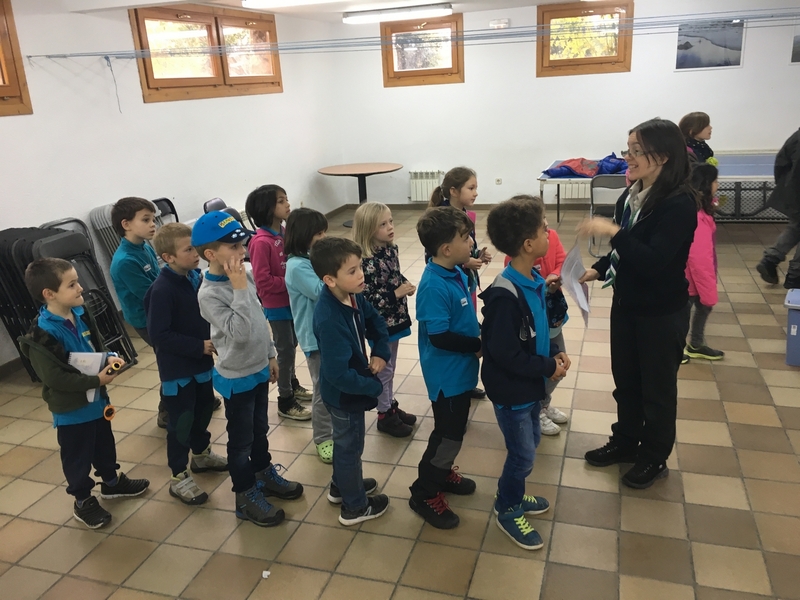 As the Beavers got ready to go to the outdoor activities, our Beaver Leader remarked that many of them were almost her height! 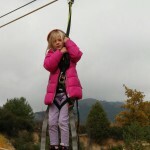 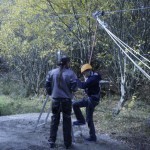 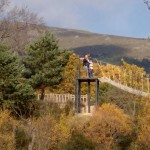 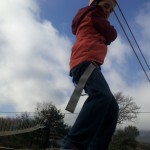 With their coats on and ready to go, the first activity was the zip wire. 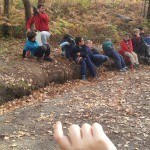 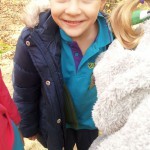 As they waited for a turn on the zip wire some Beavers climbed trees and others built a den. 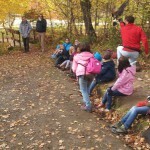 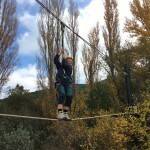 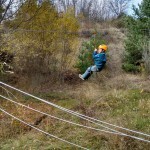 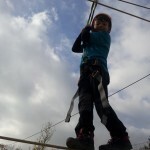 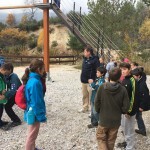 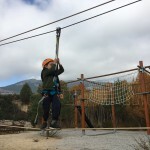 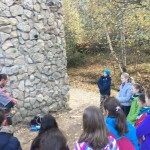 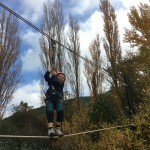 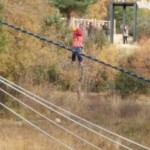 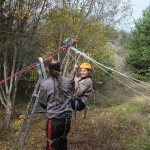 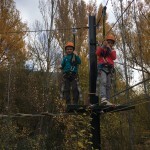 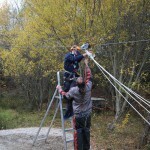 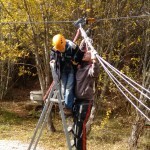 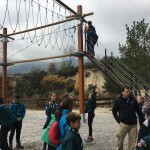 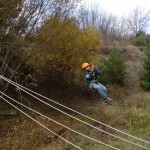 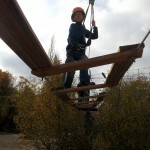 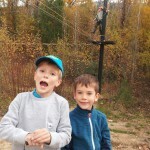 The next activity was the multiadventure rope challenge where the Beavers were watched for most of the time by members from the Scouts section. 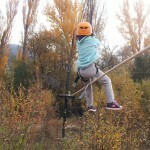 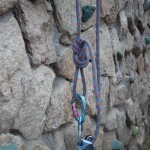 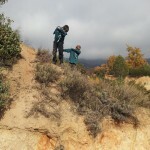 There were some tricks to learn along the way in order to get across the whole circuit. 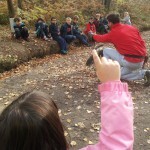 The Beavers were clever, strong and determined. 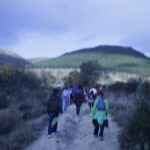 In the end every single one made their whole way around it. 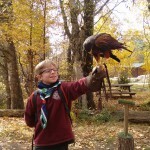 After such strenuous exercise it was a relief to sit down and listen to a talk about falconry. 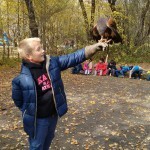 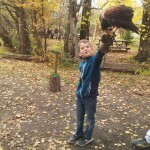 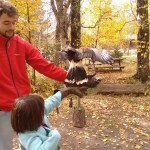 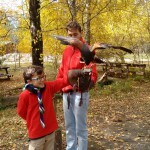 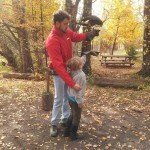 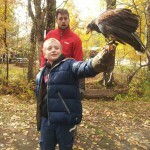 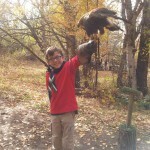 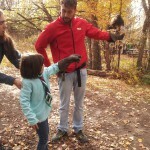 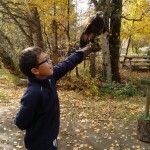 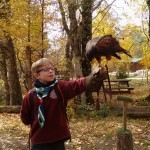 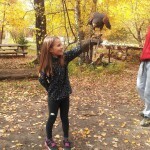 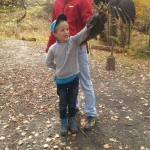 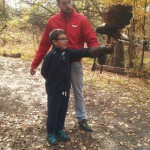 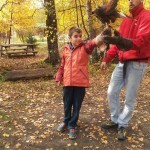 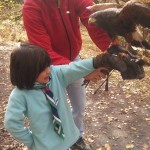 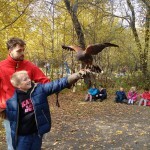 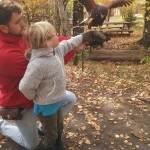 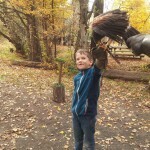 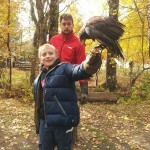 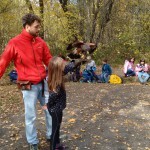 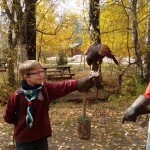 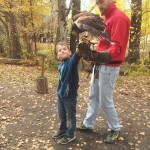 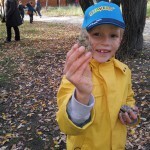 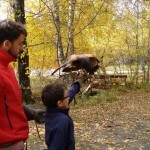 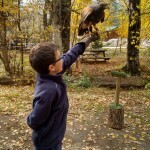 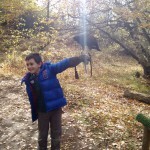 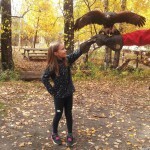 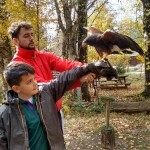 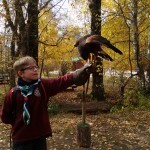 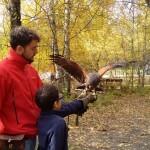 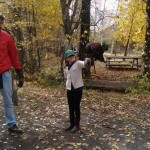 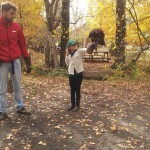 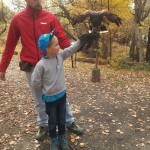 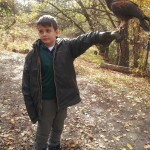 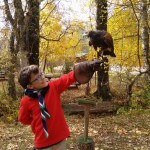 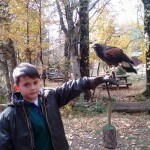 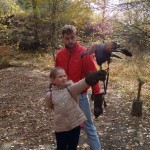 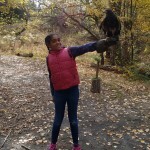 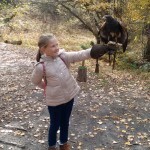 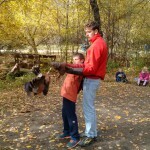 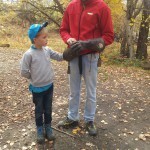 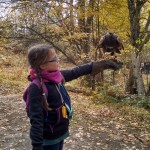 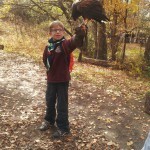 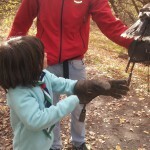 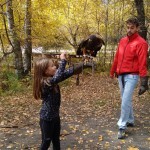 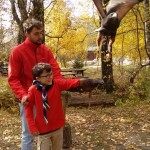 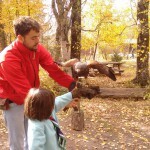 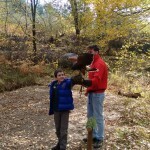 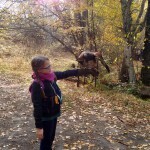 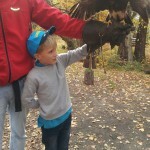 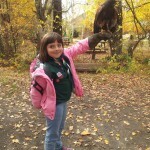 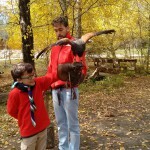 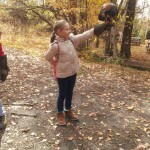 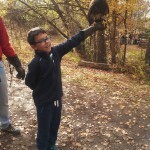 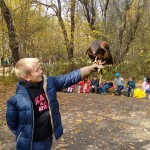 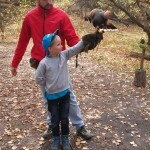 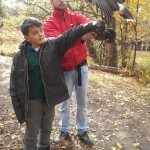 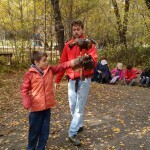 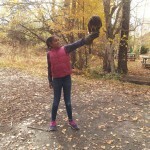 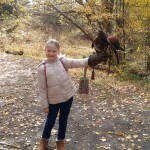 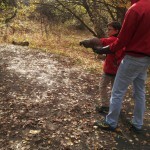 Each Beaver and Cub Scout were allowed to hold the falcon on their fist. 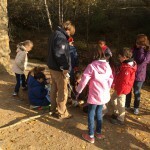 It was a very exciting activity and one they will remember for many years. 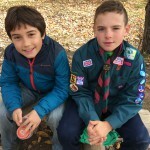 Lunch saw the Beavers catching up with the rest of the troop and their leaders. 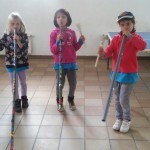 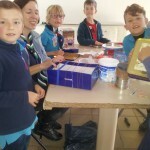 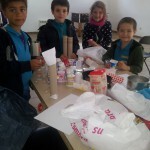 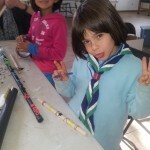 and was followed by a craft activity where the Beavers made musical instruments for the evening show. 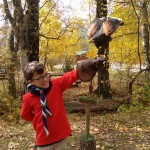 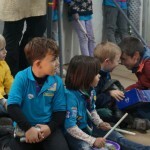 Then the Beavers had a log chew where the Beaver Leader and two of the Bronze Chief Scouts explained about the Scout signal, the Scout salute and the different sorts of badges that Beavers can earn. 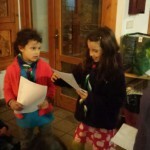 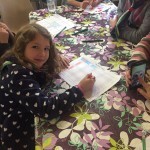 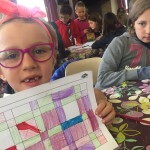 The new Beavers also did a worksheet which helped them learn the Promise and the motto. 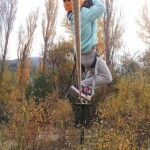 This was followed by a bit of down time and our afternoon snack. 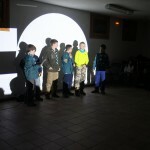 In the early evening three Chief Beaver Scouts gave presentations about the community work they had carried out as part of preparing to become Chief Scouts. The younger Beavers asked them lots of questions and were inspired to think of ways that they can help in the community too. 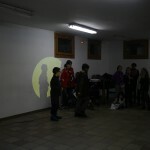 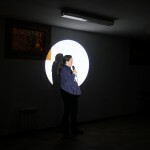 Finally it was time for the evening show, where all the Scouts from different Sections entertained each other. 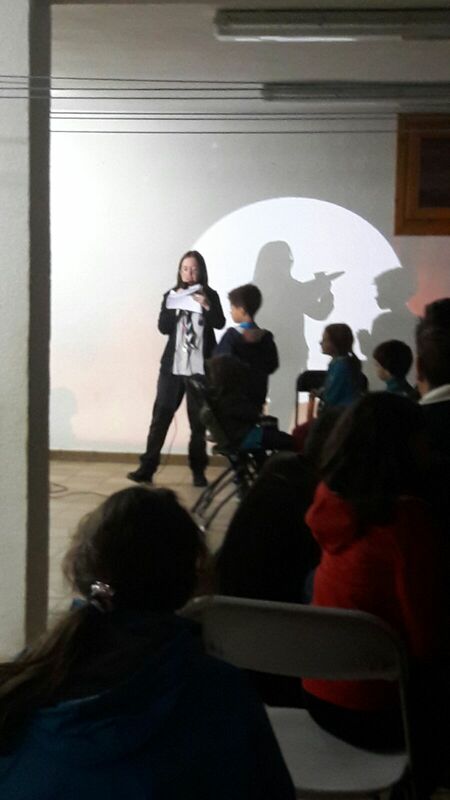 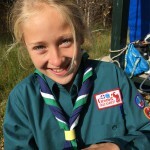 The MC was an Explorer Scout and the rest of her unit did the lighting and sound technology. 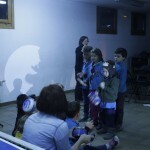 This was one of the most professional evening shows that 1st Madrid has put on to date. 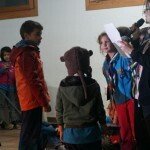 Look at our Beaver Leader in the spotlight! . 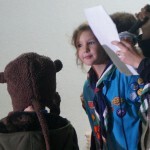 And our Beavers ready for the show!! 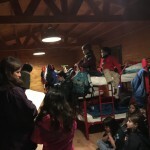 After the show the Beavers ate an evening meal and were collected by their parents to go home, apart from four older Beavers who stayed one more night. 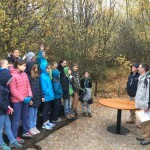 It was a fun weekend in which Beavers combined physical exercise, entertainment and Scouting history education in preparation for their swearing in next month. 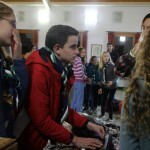 After the opening ceremony on Friday night, the scouts had a good meal and later settled into their dormitories for the night. 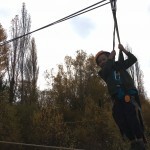 On Saturday they took part in adventurous activities including rock wall climbing, a multi-adventure obstacle course and a zip wire. 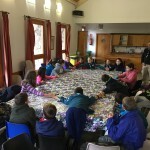 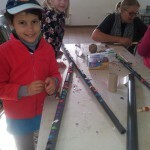 After lunch we reviewed some basic terms for the astronomer badge and then went on a hike, after which some members learnt about telescopes and built some out of cardboard tubes, lenses, and a lot of sticky tape. 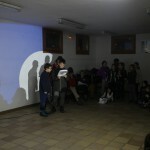 While others prepared for their evening performances that evening. 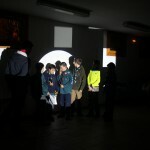 The curtains drew back for the evening performances at 7.30pm, with parents and leaders in the audience. 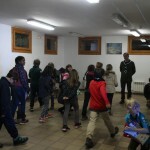 As Sunday was a wet day, we carried out indoor activities which included games, forums and learning knots. 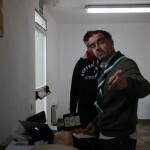 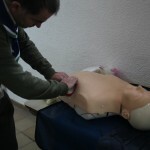 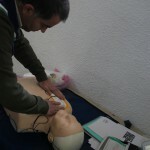 Also, some new leaders were trained as Emergency Responder (CPR/First Aid) by the GSL. 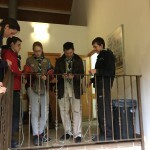 As the agenda drew to a close, we attended the closing ceremony, welcoming the new leaders to the group, and said our farewells, proud of our weekend achievements.